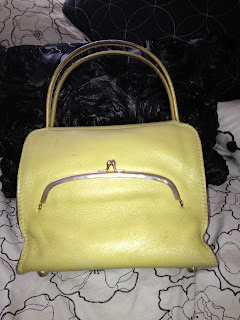 This is the story of why I so disliked Coach handbags, and how over 30 years later I've had a complete turnaround. Enough of that, we've all been through school crap and triumphed over it, leaving the dross behind. This is typical of the original style. There was also a pouch looking one, and a smaller one, plus a large tote style. They've all held up and still sell well as they were so well made. 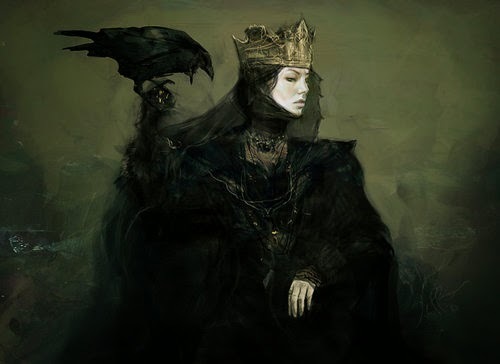 Google image. Early on in our marriage (about 22 years ago) we visited my husbands family in St. Louis. I found amazing thrift shops there and was starting to pick up things here & there for my first foray into becoming a professional flea market vendor. I spotted a gorgeous chartreuse 60s handbag the likes of which I had never seen. But then read the label. Coach. Ugh. I came so close to leaving it but the colour and style had me hooked so I bit the bullet and purchased it. I recall at the time it wasn't cheap, maybe $10 which being such a cheapo when it comes to vintage felt like it was a lot in those days (in St Louis especially where prices are always way less than NY it was actually expensive). It wasn't until doing research (the old fashioned way -- remember libraries? 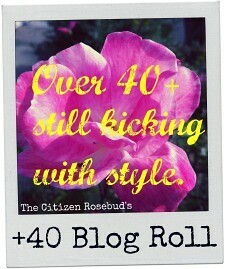 they still exist, use them!) 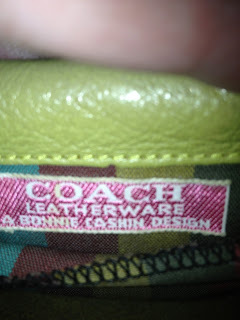 to see what I should price it at that I noticed the "Bonnie Cashin" for Coach label, then found out it was highly collectible, even over 20 years ago. 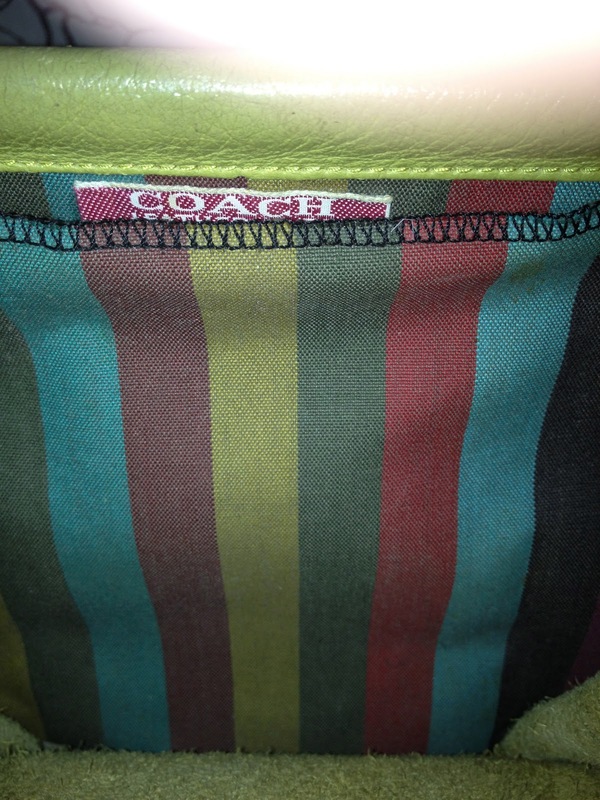 I had already decided I couldn't part with it, it was too gorgeous and I just didn't care at that point that it was produced by Coach. Its still in my collection and I've gotten tremendous use out of it; in spite of its age it still looks as if just purchased! Looks yellow, but its chartreuse, as you'll see in the other pictures. This is my vintage Bonnie Cashin. I searched pages and pages of google images and eBay and found similar but not a single one exactly the same. Almost all were a tote style, while this is a regular smaller handbag with hard handles, the rest had soft leather handles. 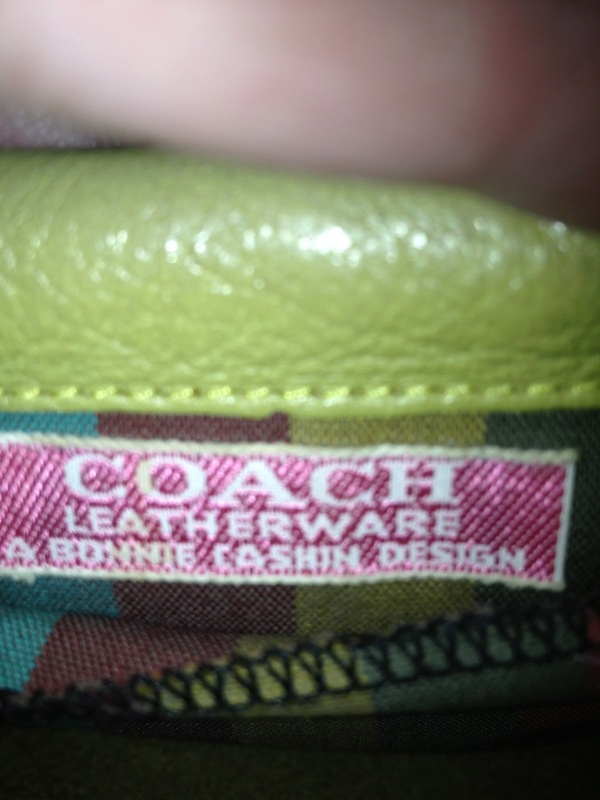 All the Bonnie Cashin for Coach handbags have some kind of striped lining. Even the outside pocket with "kiss" lock has the striped lining. I became quite good at spotting Bonnie Cashin for Coach handbags, and many passed through my flea market stall and retail store. The last one I sold was about 8 years ago when I still had the shop. I told the buyer I wasn't sure it was a genuine Bonnie Cashin, but she had quite a few and was sure. I even said if she found out it wasn't real I'd refund her money (quite a pretty penny at the time for a fold over wallet with a "kiss" lock -- didn't really want to sell it, so put a crazy price on it!) I never offered cash refunds, but felt if it wasn't the real thing I didn't want to rip her off. 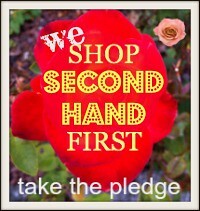 She never returned it, only popped in so often to see if I had found any more & say how she loved the one she purchased. I recently saw the exact bag selling on eBay for $399.99 and that was the cheapest one (I can't image someone actually laying out that kind of cash for essentially a wallet -- high-end designer wallets go for that kind of money & if you hit a sale you can get them 60% off or more at an Outlet.) I've still never found another like mine, and with all the use I've gotten out of it I'm definitely glad I didn't cave in and sell! Fast forward to last summer/ early autumn. Somehow I wound up on Coach's website and couldn't believe what I saw. No logos. They had come out with what they called the "Legacy" or "Classic" collection. Back to basic shapes, and the colours were fantastic; fuchsia, lemon yellow, orange, red, and the color I was dying for was emerald (the green queen strikes again!) in addition to basic brown and black. Only I forgot about them until recently when asked what I wanted for mother's day. Then realised that was the Fall/ Winter collection and gone off the site. That's when the lightbulb went off and I remembered the outlet at Woodbury Common (one of the biggest designer outlets probably anywhere.) If it was off the site, chances were pretty good that whatever was left was there... and we got there the day after they got in some of the "Legacy" pieces! We saw one Emerald bag, more like an overnight bag it was so huge, but it was kind of dark and not at all like the bright emerald colour the pics on the site showed. 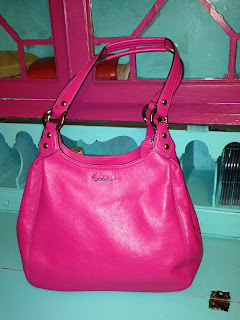 But oh, the fuchsia was calling my name! For as much as I love pink (most shades, some bore me) this one really spoke to me. I loved that they used the same leather as the original handbags but made them lighter (the originals were incredibly heavy), and switched the brass to silver with a very discreet "Coach" written at the top unlike the Coach logo handbags emblazoned with the giant "C" everywhere. 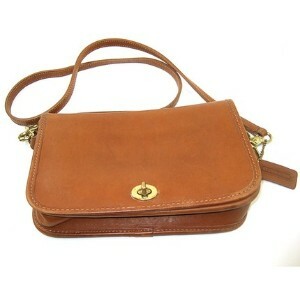 Plus it was 50% off an already good price for a mid-range well-made leather handbag. Three compartments, middle one zipped for security, two pouches for phones and whatnot on both the front and back compartment, and an inner zip pocket in the first compartment. I'm in love. All I need to do is have "feet" added to the bottom which help to keep the edges from getting beat up (you can barely make out the "feet" on the first pic of my vintage handbag). 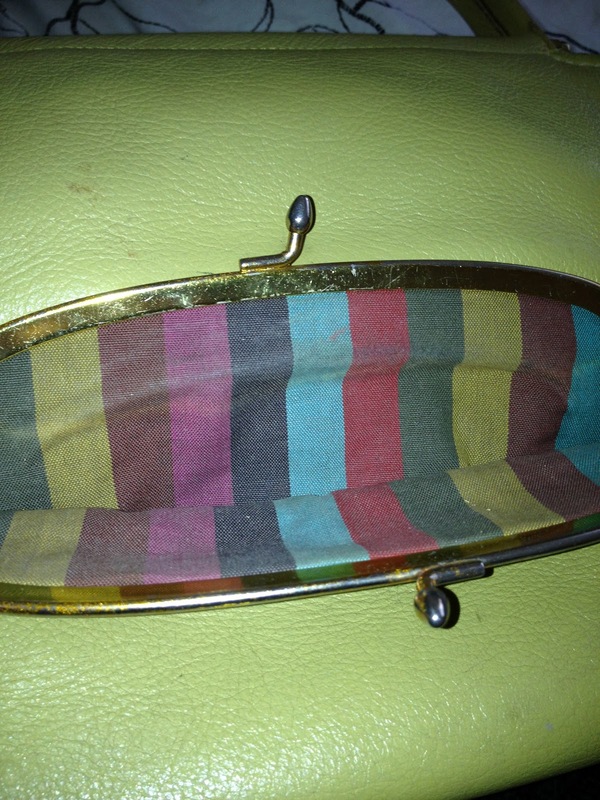 I do wish I had gotten the wristlet, it would help to keep my handbag organized and is big enough for an evening bag. Perhaps next visit. Here is my early Mother's Day gift, look it matches the secretary! Very sleek, but holds a ton, just what I need, as I'm always carrying around too much with me no matter how hard I try to clear out! Sorry no inside pics, I'm a pack rat when it comes to what I have to carry around! 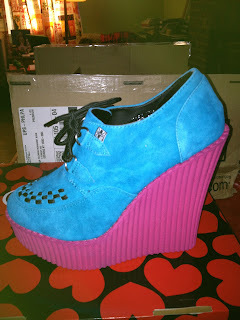 I did get one more mothers day gift... turquoise and pink wedge creepers! Tired of gloomy days and late (if ever) spring, they immediately sparked my shoe lust. Comfy and colourful, I adore them! My crazy coloured new wedge creepers, LOVE the colours and they match my bag! I've also discovered they have a Coach outlet online (not fakes), it takes a few days or so to get your invite, but right now they have a Mother's Day sale so things are going fast, not even sure if they have anything left, but sign up for future sales; link here. And do keep your eyes on the coach.com site for new releases, I'm sure you'll be as surprised as I was! So there you have my Coach story with a happy ending! In love with your loca bright creepers. Hey they match your stripey dress. "The Governor" you crack up me at least you looked cool. I love eye patches. Hi dear, I recommend you to try some online stores for Coach Tote, by this way you will come to know about the latest trends and I am sure you will like this and you will get something for you.